Here's a trick shot from Barn Island in Pawcatuck, CT. This picture was taken just after snowfall at 4 AM on Saturday March 11, 2017 . It is a high dynamic range composite of three long exposures...the lighting is provided solely by the moon. Barn Island is a beautiful place, offering miles of shoreline trails overlooking Little Narragansett Bay. 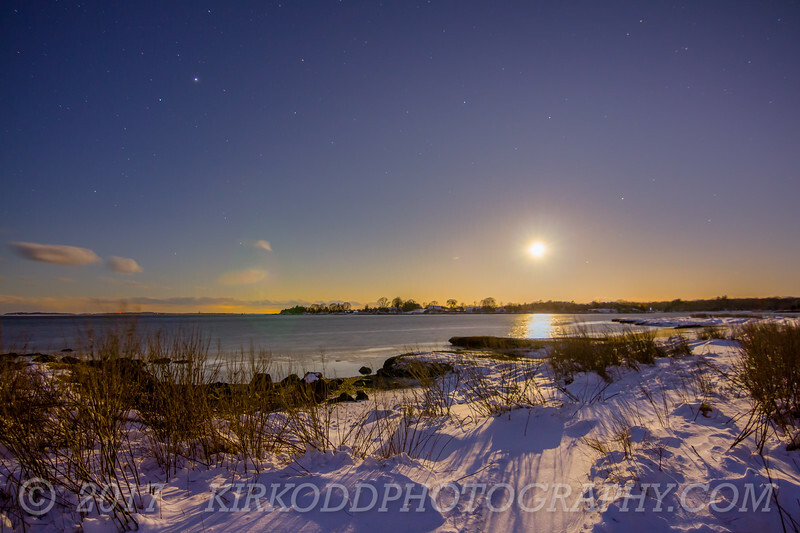 Here, the moonlight illuminates the bay and casts long shadows across the snow-covered dunes.